I do not provide the graphics associated with the articles because I presume you are already viewing the original article by clicking on the spreadsheet linkthe easiest and most obvious thing to first do. You can thus easily save them for your own personal archive if you wish. 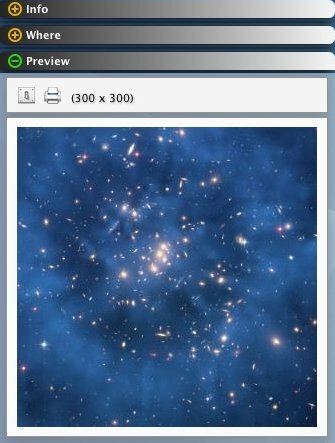 I have found it convenient to name the saved graphics associated with article 208, for example, as 208i1, 208i2, etc. 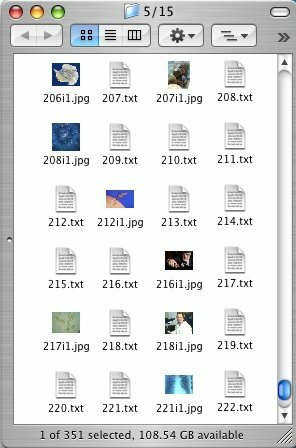 If there are a large number of graphics associated with an article, I create a new folder (named 213i, in the example below) and place the graphics there, naming them 1, 2, 3, etc. This is how the folders of articles appear on my desktop in icon view. 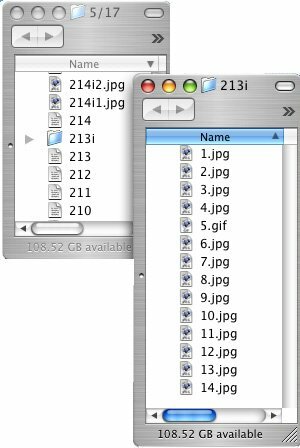 In cases, such as illustrated on left, where there is a folder (213i) containing a large number of images, I may create a separate text file for the captions and name it 213i cp.txt. The large number of captions would otherwise break the flow of the article if included with the main text. On a Mac, highlighting the icon and pressing the Spacebar also gives an instant preview. I can also select a group of graphics and choose Open (Command-O) to open them all simultaneously in Preview. 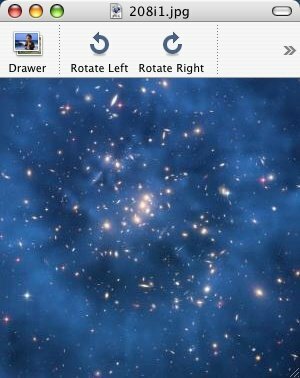 Option-Clicking on a picture file opens it in MacGizmo.